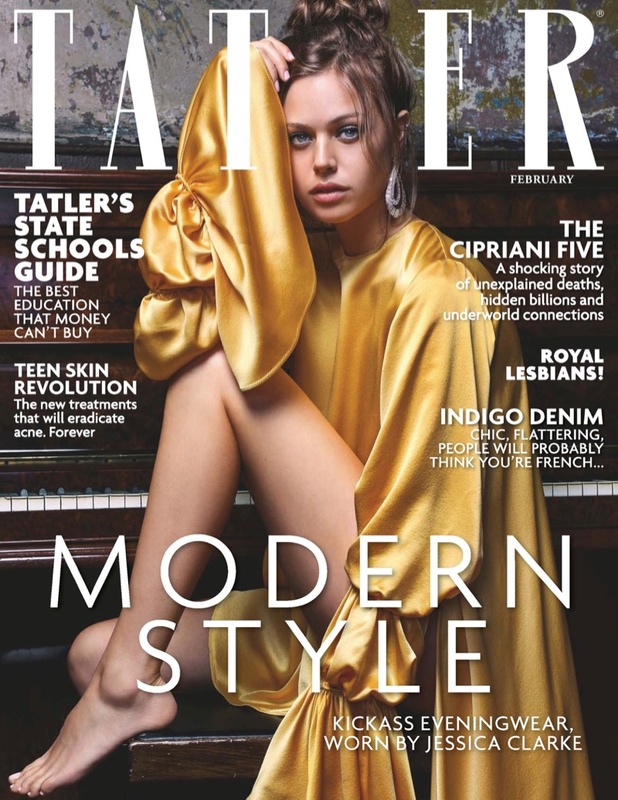 Jessica Clarke shines on the February 2018 cover of Tatler UK. In front of the lens of Philipp Mueller, the brunette beauty wears a yellow satin blouse from Roksanda with a diamond earring from Graff. 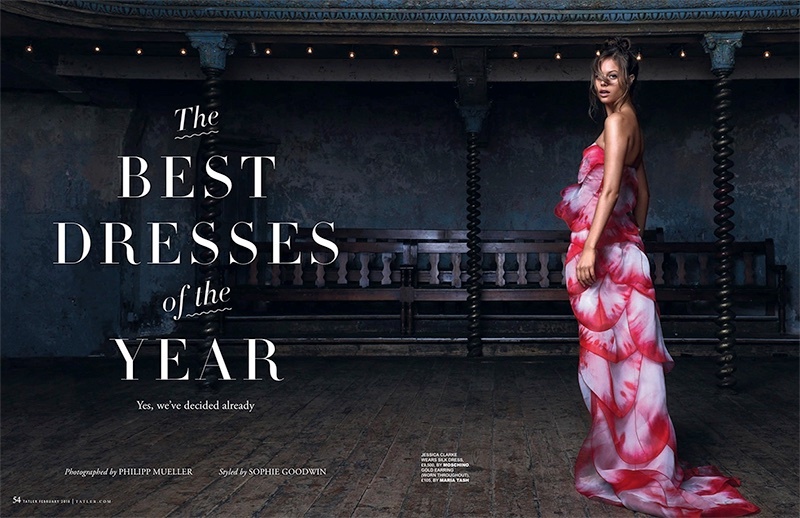 For the accompanying editorial, Jessica wears gorgeous gowns and dresses from the spring collections. 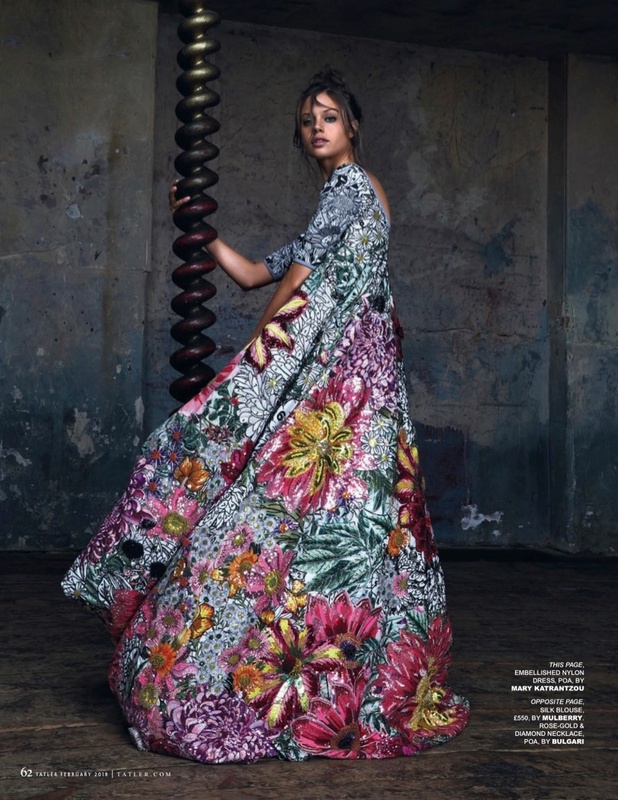 Stylist Sophie Goodwin selects designs from the likes of Valentino, Oscar de la Renta and Delpozo.